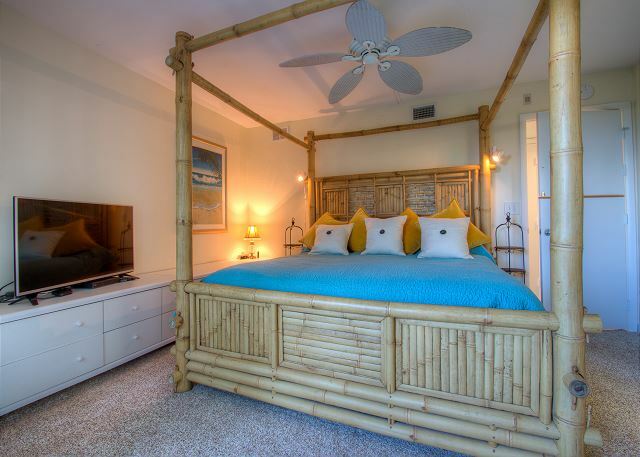 Sanibel Surfside "Stunner" #111 -- 7 night minimum. Saturday to Saturday only. Maximum of 4 guests total. 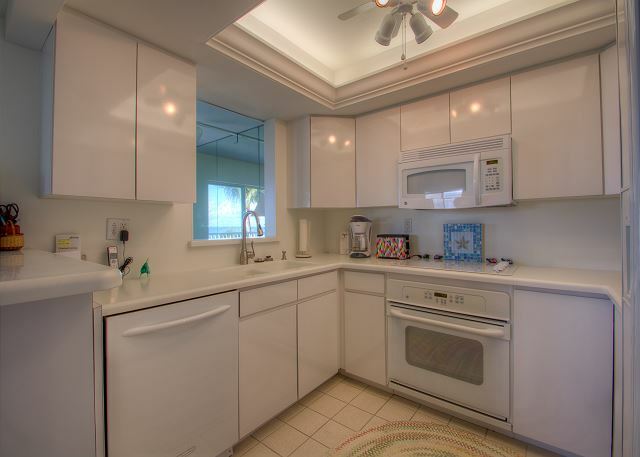 DIRECT GULF-FRONT END CONDO with 2 spacious screen & glass enclosed lanais. Enjoy the expansive ocean views rain or shine. This is not your typical rental condo. 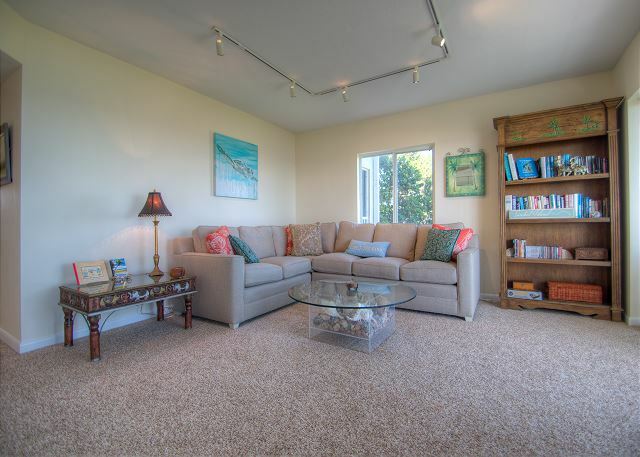 This end unit is very spacious (1425 square feet) with plenty of room to relax. There is an additional side window to view more of the beach and palm trees. Also, 3 new Flat Screen TV’s (50”, 44”, 32”), 3 Blu-Ray Smart DVD players (pack your NetFlix/Pandora/Hulu/Amazon/Vudu Account info), new carpet, new washer & Dryer, new stovetop, new furniture, new quiet ceiling fans, and freshly painted interior. 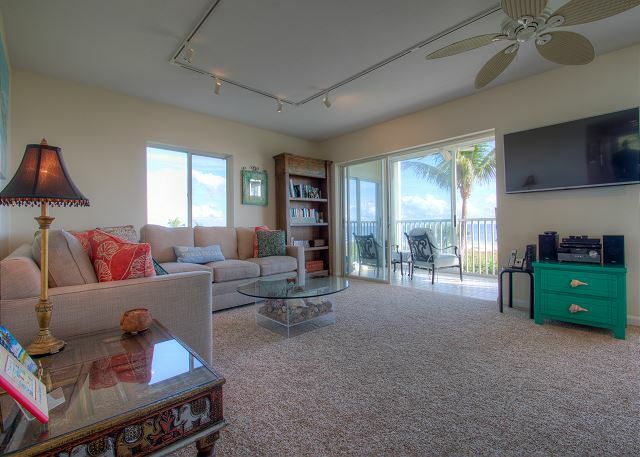 Features an amazing 6’ x 25’ direct gulf-front lanai with extremely comfortable chairs. 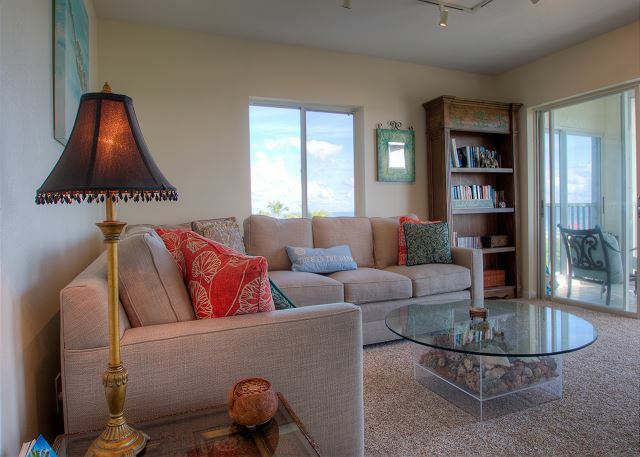 Sink into the cushions and enjoy listening to the ocean waves while you nap, read, or gaze at the birds & dolphins. There is also a 50” flat screen TV, Blu-Ray DVD player and CD Stereo that you can enjoy while relaxing on the new sectional couch or eating/cooking in the well-stocked kitchen & dining area. A collection of CDs and DVDs are provided. Also, some binoculars, games and popular books are available so you can pack light. Each bedroom has a new mattress/box spring, pillows & bedding, a desk/office area, new flat screen TV, Blu-Ray Smart DVD player, ceiling fan, closet with plenty of high quality hangers, and alarm clock. 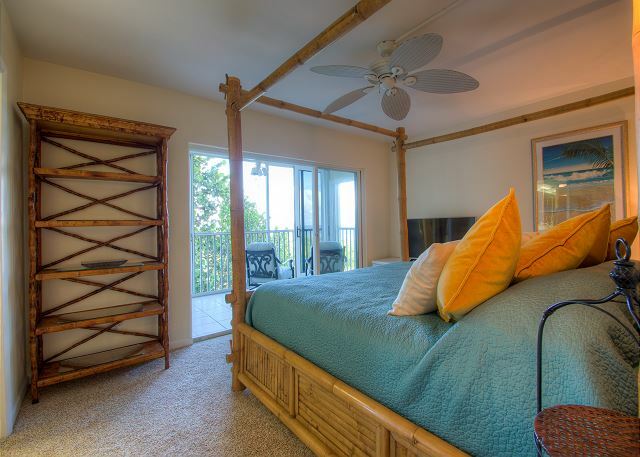 The Master bedroom has its own private lanai (6.5’ x 15’) and a beautiful view of the beach. Relax with a morning cup of coffee or tea while watching the sunrise above the ocean. There is a new pillow top King mattress and an amazing bed imported from Indonesia. The Master Bathroom has 2 sinks. 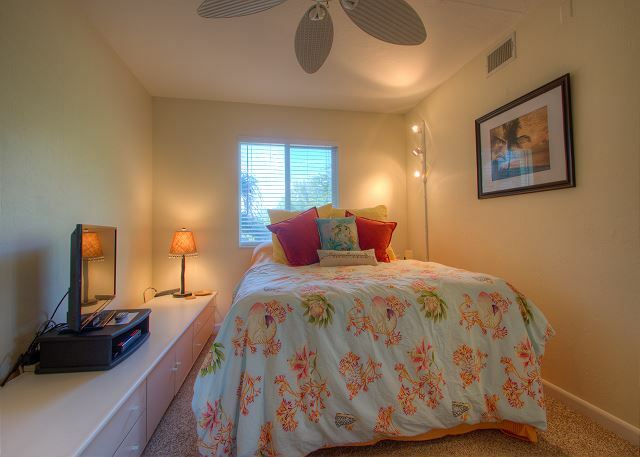 The Guest Bedroom has a new Queen pillow top mattress which is hard to find in a Sanibel guest bedroom. (No twin beds or sleeper sofa.) 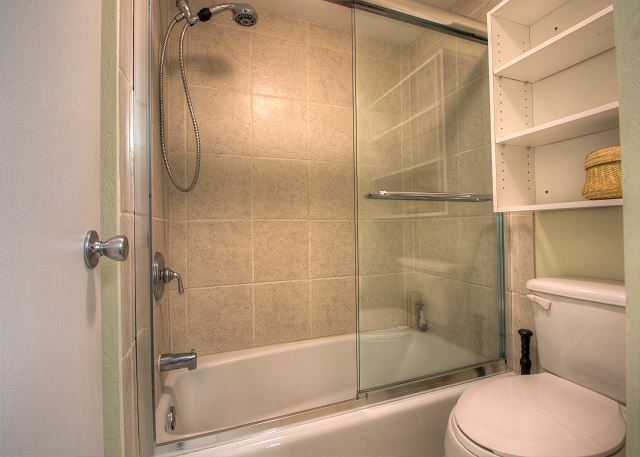 The guest bathroom is next to the bedroom. Other special amenities include: High Speed Secure WI-FI, Cable, Reserved Covered Parking Space, Full Size Washer & Dryer, Elevator, hair dryers, iron, ironing board, and unlimited long distance within the US. Beach Towels, Beach Chairs and a Beach Umbrella are provided for your use too. 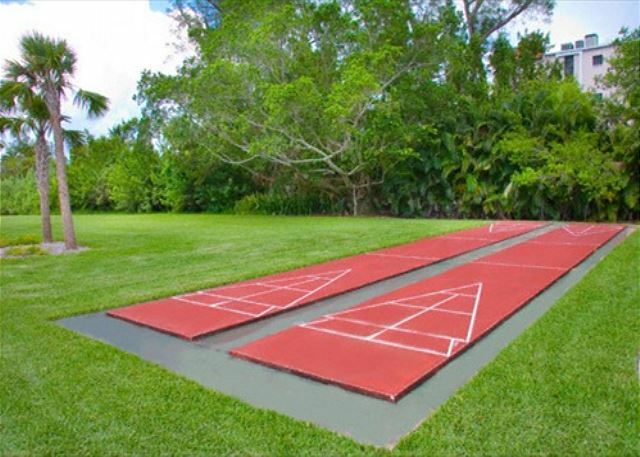 Sanibel Surfside complex has a beautiful uncrowded heated pool with new patio furniture, 2 Gas Grills, 2 excellent private tennis courts, a pickle ball court, and a shuffle board court! It is a small complex (38 units) that is beautiful, quiet and tranquil. Sanibel Surfside is also a SMOKE-FREE complex. Their strict rules do not allow any smoking (cigarettes, e-cigs, pipes, cigars) inside any condo, lanai, walkways, or near the pool & buildings. If you are a smoker you may prefer a different condo complex. 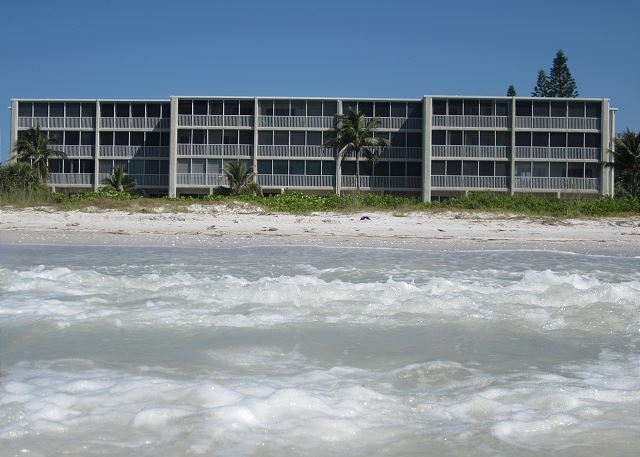 Sanibel Surfside was built before restrictions went into effect regarding how close a building could be to the beach. Thus, our condo is one of the closest to the ocean in Sanibel. This is why you can hear the waves and enjoy the unobstructed views down the coast line as well as directly out to the Gulf of Mexico. 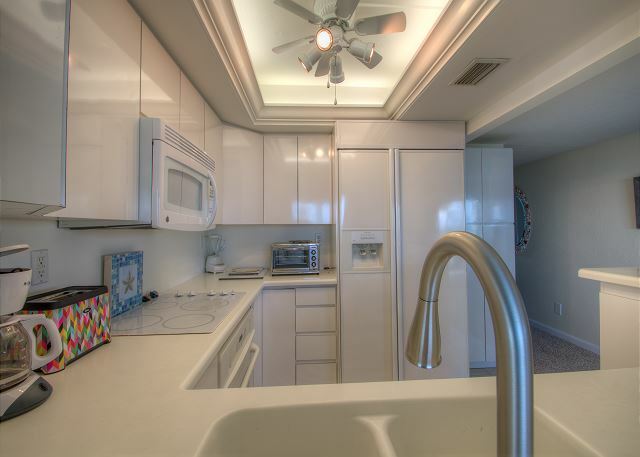 This beautiful condo has a great view, and mere steps from the beach. The owners have added many small extras, you truly feel like you are a guest in their home! The location is great for biking to many restaurants and shops. 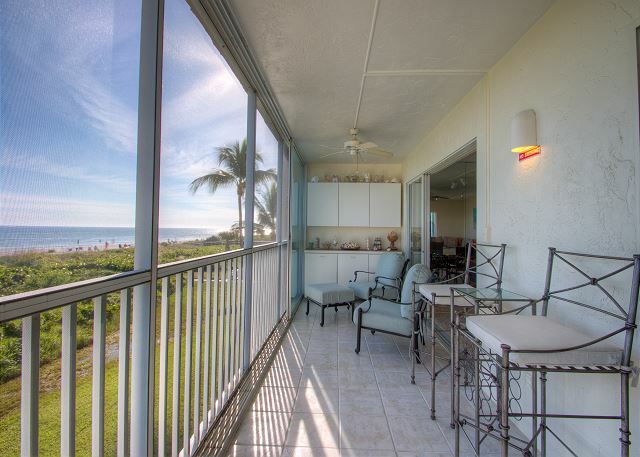 Thank you so much for your review of Sanibel Surfside 111! We are so happy you enjoyed your stay and it was such a pleasure meeting you! We hope to see you again next year! We stayed Thanksgiving week and had a great time. The apartment was lovely, well stocked, and the location was great. So nice to sit in the lanai and watch the sunrise. Very easy to deal with management office. Thank you so much for your review! 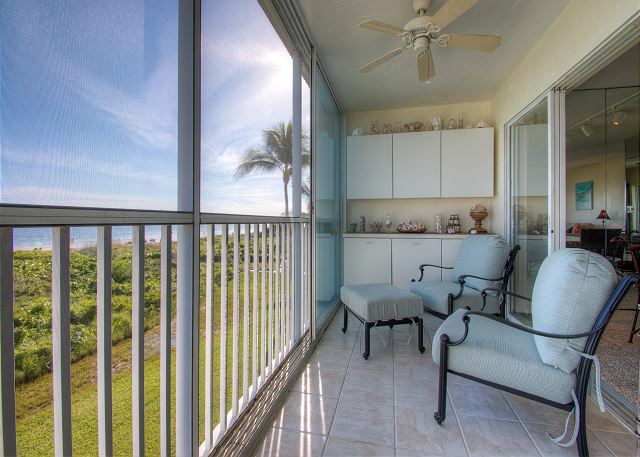 We are so glad you enjoyed your stay at Sanibel Surfside 111. We hope you will stay with us again when visiting Sanibel! First time staying at The Sanibel Surfside #111, a beautiful condo and can't beat the location. I can't say enough about the beautiful lanai and watching the sun rise each morning...stunning! Nice to have everything so near by.The condo was very clean and well equipped and the beach closet was amazing, anything you needed for the beach was in there!! The property manager and messages to be sure we had everything we needed was nice as well. So happy the beaches were cleaned up after the red tide, no evidence of it at all. A wonderful vacation and place to stay!!! Thank you so much for your review! It means so much to us that you enjoyed your stay! We hope you will stay with us when visiting Sanibel in the future! We had a wonderful vacation. The condo and everyone we came in contact with were great. My only small complaint with the condo is there are no blinds on sliding doors in master bedroom so sun comes up in your eyes very early. The Property Management company is beyond great!! Anytime (day or night) we called for help, we spoke to a real very very nice person who helped us remedy our issue. We will always contact this company for our stays in Sanibel Island. Thank you so much for your review! We appreciate your loyalty to SBL and it is always a pleasure having you stay with us! 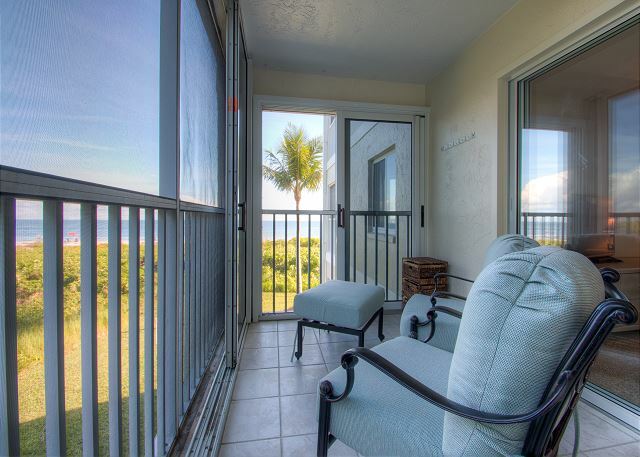 We are so glad you enjoyed your stay at Sanibel Surfside 111! We hope to see you again soon! We loved the condo and a had wonderful time. Other than the tropical storm bringing the rain ..we still managed to have a wonderful time. We would go back to this condo. Thank you opportunity to stay there. Thank you so much for your review! We enjoyed having you with us! We hope to see you on Sanibel again soon! Thank you so much for your review! We are so glad you enjoyed your stay! We hope you will return to Sanibel and stay with us in the future! Clean, well stocked, great variety of beach specific gear to include chairs and umbrellas, clear and concise information, up front description and expectations. The trip was GREAT! Thank you so much for your feedback! We are so glad you enjoyed your stay! It was a pleasure having you! Great location near the beach with a lovely view of the Gulf. 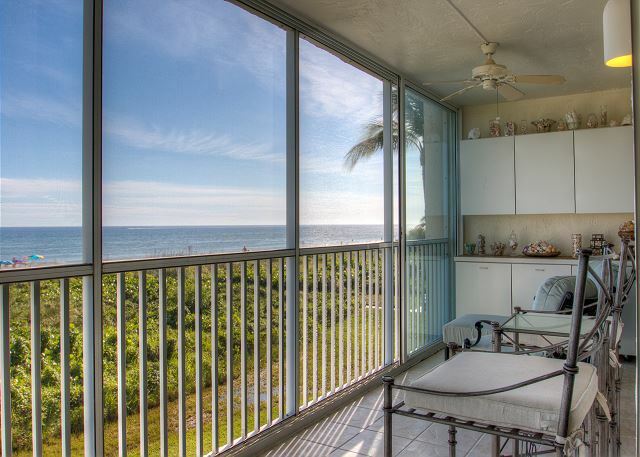 Thank you so much for leaving your review of Sanibel Surfside #111! We are so glad you enjoyed your stay. We can't wait to see you next year! My favorite things about this unit is the screened/glass lanai with nice chairs and footstools for relaxing (not just a table and chairs.) I would start off sleeping there for a few hours before going to bed as I found it very comfortable quite soothing! My 2nd favorite thing was the UNHEATED pool, it was so nice to take a cool dip after being on the beach in the sun;I have never understood why folks have heated pools in Florida! The unit was right on the beach with spectacular views, was well stocked and very clean. We have already booked for next year! 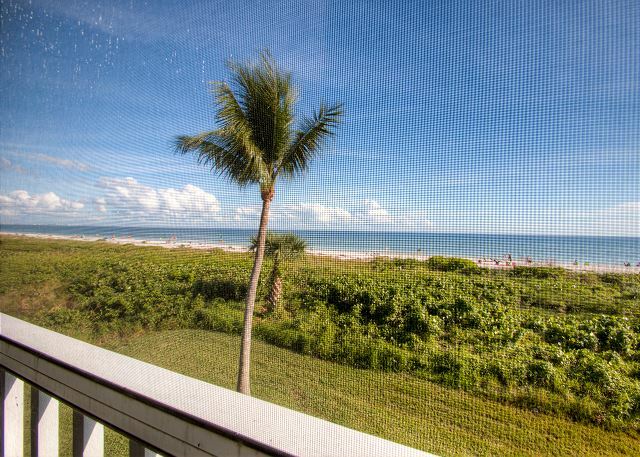 Thank you so much for taking the time to review Sanibel Surfside #111. We are so happy to hear that you enjoyed your vacation and all that this great condo has to offer. 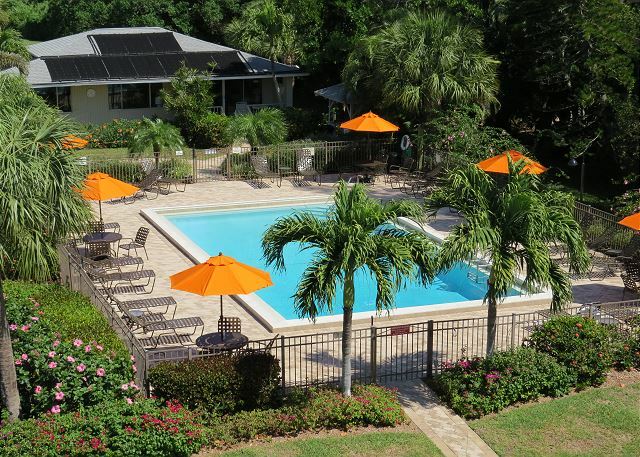 The Surfside complex turns on the pool heater when temps start to drop in the "winter" but I'm thrilled you found it to be so refreshing during your stay! We can't wait to see you again next year! We stayed at the sanibel surfside #111 at the end of June and had an amazing experience. The condo was incredibly clean and well cared for. The view of the ocean was incredible and it was nice to be the end unit. All the amenities and things we needed for the week were provided within the unit. The condo complex was well cared for and kept really clean. We will use sanibel vacations in the future when renting on sanibel. They were organized, professional and provided top notch service. They communicated everything about arrival and check out very clearly. We weren't given our beach closet key and the owner came out on a Sunday to make sure we had that so we had access to all the beach gear. Our bikes and paddles birds we rented through them were also delivered on time and in great condition. Thanks to helping make sure we had a great trip! We are honored to have had your family here on your vacation! Thank you so much and we will see you next year! Family with young kids enjoyed #111. We found the place clean, and with beach chairs, etc that you can use there and not have to travel with. 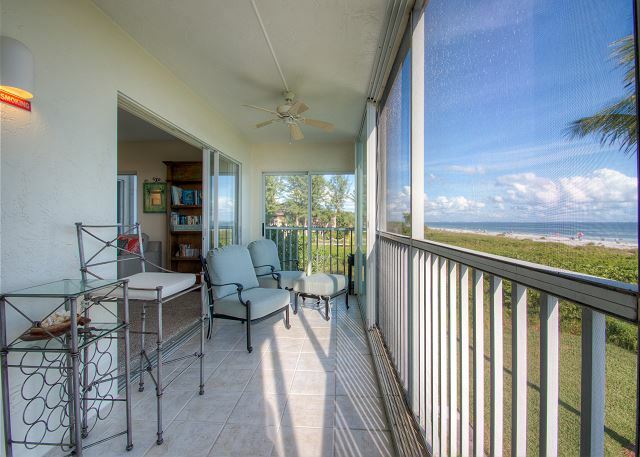 We loved the view and my mom, Dixie even found a Junonia shell right in front of this condo after a storm. Good location to bike or drive from. Thank you so much for staying with us. And we look forward in seeing you again ! 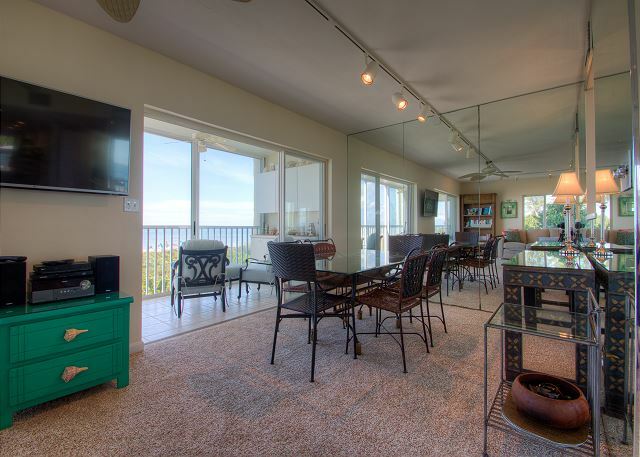 The ocean front condo was just beautiful, it had every thing you could need for your stay. Thank you for staying with us and we will see you again soon! Quiet, clean, comfortable, great location, perfect view, everything well labeled inside. 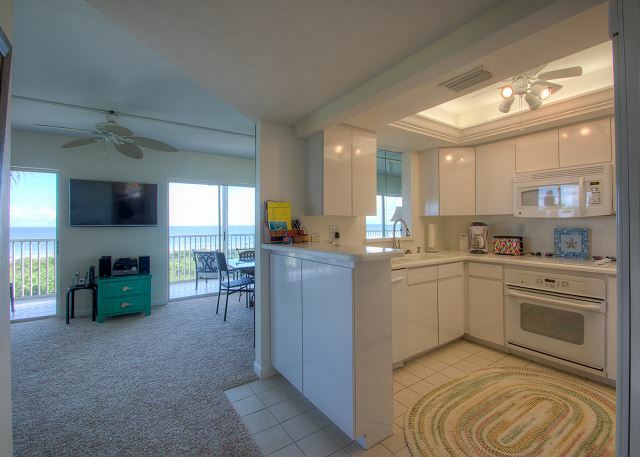 Surfside 111 is a wonderful unit. 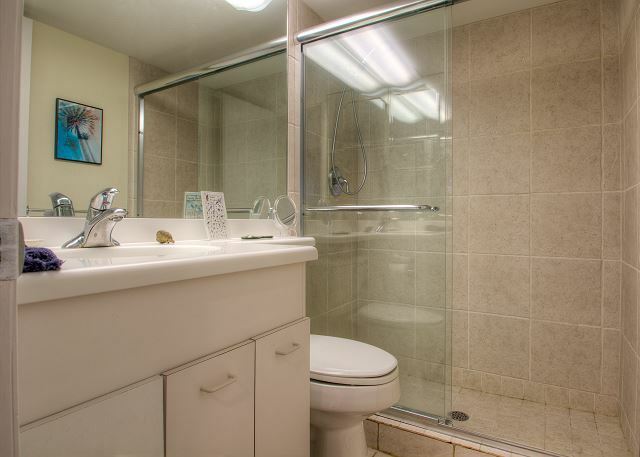 Beautifully stocked with all imaginable needs the unit is spotless, bright, comfortable and homey. 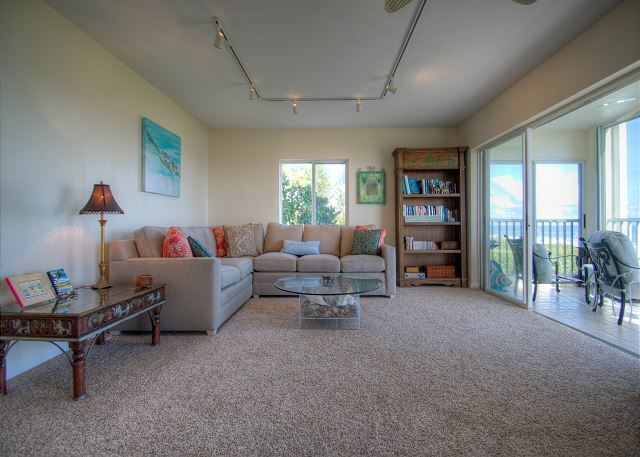 Really just steps from the beach but if you're not a sun worshiper then the lanai is so close it's like you're on the beach with a wonderful panoramic view. The owners do everything possible to make you feel welcome. The property itself is a smaller property, which is a plus, and beautifully maintained. And everyone is very friendly with a good mix of owners in residence and renters. Don't pass this one up. Frequent visitors to Sanibel, but first time at Sanibel Surfside. 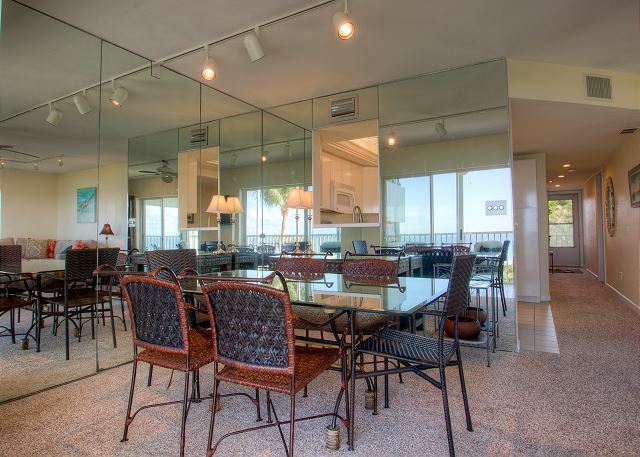 Loved the location--right on the gulf, close to shelling, could walk to Hester's Market or happy hours on Periwinkle! Beautiful sunrises every day! And watching dolphins swim by (or was that a shark?!!)! Condo was clean and well-maintained. Lots of towels and sand chairs, but those sand chairs were a little uncomfortable. Ended up purchasing a couple at Bailey's.While we did enjoy some local restaurants, such as Jacaranda, SandBar, Lazy Flamingo, Sanibel Fish House, Grandma Dot's, it was actually nicer to cook dinner in and spend more time enjoying a late afternoon cocktail on the beach! Just wish that there was a table on the lanai to eat outdoors. We had a wonderful time again and will be back again next year. Many thanks to Carly, great to work with and very helpful. 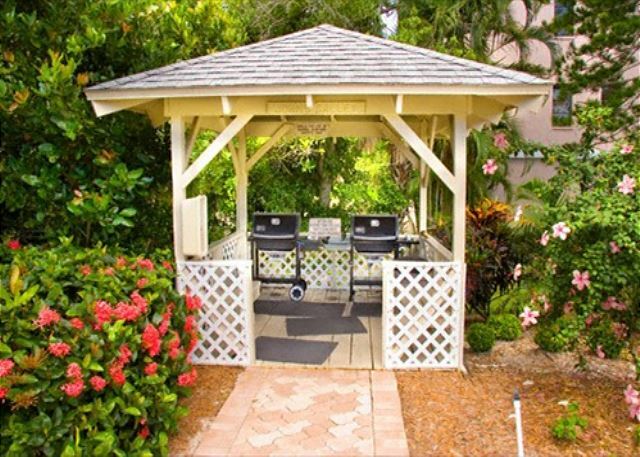 Hi Pat, thank you so much for taking the time to review Sanibel Surfside #111. We are so glad you enjoyed your stay and can't wait to have you back again! Surfside #111 is amazing! nicely furnished, well supplied kitchen, covered parking, beach closet with tons of chairs and beach toys, close to the stairs, elevator, beach, pool, and nice/clean gas grills. The screened lanai was really nice- comfy furniture and nice decor. the owners have everything labeled, a linen closet with light bulbs and misc items, and some books/binder on the LR end table with TONS of info- be sure to take a look. This condo is really nice and relaxing! The island has a lot of vegetation and miles of bike trails. Some restaurants close between 3-5 pm (bummer). Captiva Cruises and Thriller Cruises were a lot of fun! We almost didn't go to Ding Darling nature preserve, but so glad we did! it's the best $5 you'll spend. If you don't want to bike or hike, there is a 4 mile drive that has room to pull over and park- then walk short distances to see the sites. Be sure to get dessert "to go" at the Bubble Room- it's HUGE for $7 (we got 4 generous servings!) Be sure to note the check out instructions- we were at the office at 9am, but no one arrived until 9:30. They do have mobile check-out, but I didn't want to download to my phone. Be sure to take bug spray- the no-see-ums are vicious little critters on the beach! Overall, this is an amazing place! we can't wait to go back again. 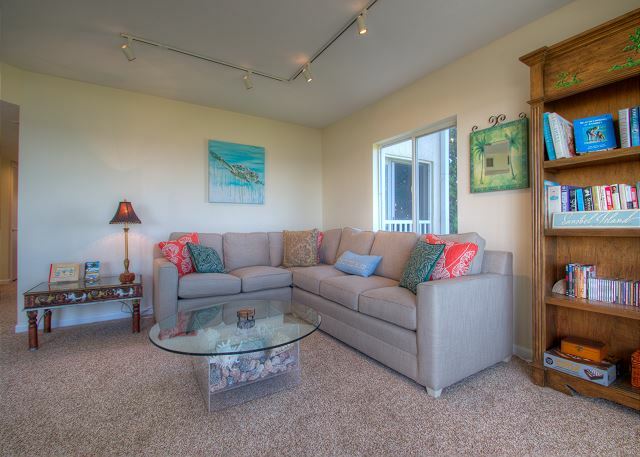 You can't go wrong with this condo- one of our favorite places! We have been vacationing in Sanibel for about 30 years. This was the best condo we have rented. Great view, nicely furnished, and well maintained. It is a bit more money than others, but you do get what you pay for with this unit. 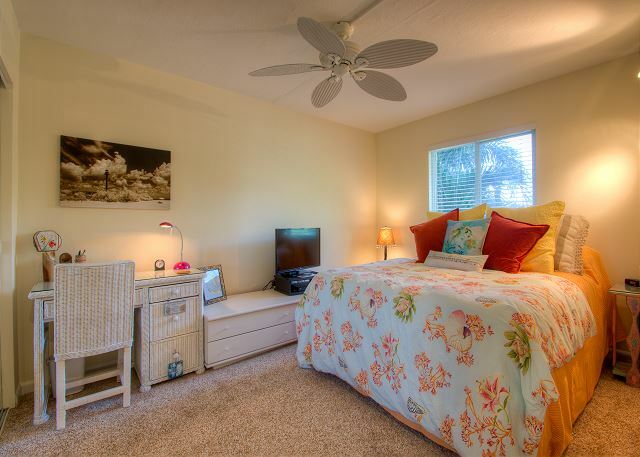 Thank you so much for your review of Sanibel Surfside 111! We are so glad you enjoyed your stay with us. We can't wait to see you again soon! Susan & John, Thank you for choosing SBL for your recent stay in our Surfside #111 condo. We hope you enjoyed your vacation and all the beauties that Sanibel has to offer. Our family stayed for a week in Sanibel here and it was absolutely perfect! I almost don't want to tell people so we can always have the unit available! The location on the island is great and the ocean and pool are just steps from your door. The unit was beautiful and super clean! We loved all of the Windows and lanai to watch the sun and moon rise. You can't go wrong with this one! And the rental company was simply a pleasure to work with. It was so easy! We enjoyed a fun, relaxing family vacation! Relaxing, relaxing, relaxing! Time spent on Sanibel is in our top of our favorite locations ever taken. This rental had an exceptional view and was very comfortable. The rental company also lends quality bikes, and we had them dropped off and picked up, which was incredibly convenient. Location was excellent. We rode our bikes nearly everyday to explore natural areas, farmers market, and restaurants. You will not be disappointed with this choice! !